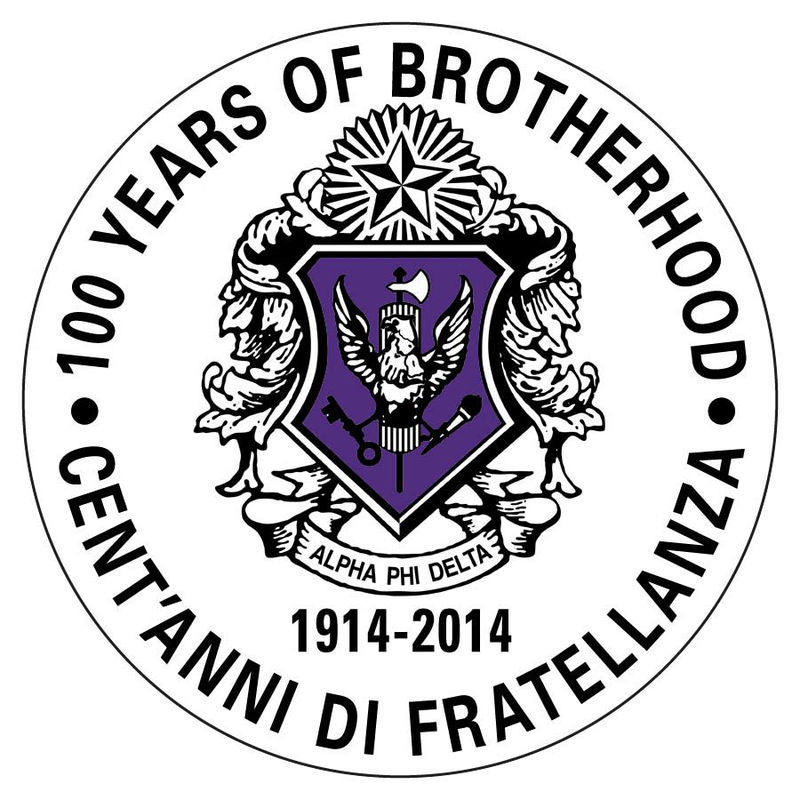 Alpha Phi Delta is an Italian Heritage Fraternity; it was founded at Syracuse University on November 5 1914. Since its founding, over 21,000 men have become brothers of Alpha Phi Delta. 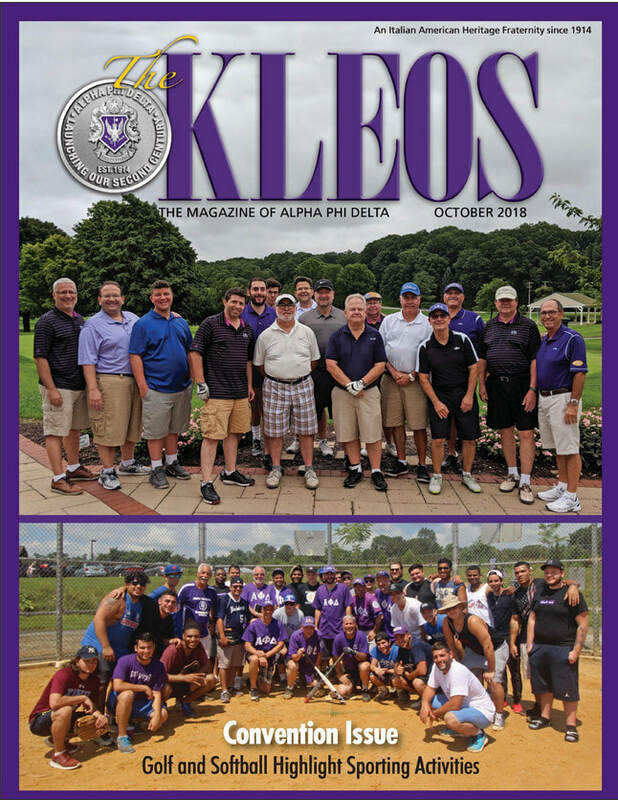 Currently, the Fraternity has active colonies and chapters at 45 school throughout the United States; additionally, it has 28 alumni organizations. For more information click here. Donate to the Alpha Phi Delta Foundation. Wow, what a bargain! The 276 page "History of Alpha Phi Delta Fraternity" is now being made available to members in paperback format for only $8.00 plus shipping and handling (this is $32.00 less than the hardcover price). This volume contains the words and pictures that tell the story of our brotherhood. Want to know the whole story? 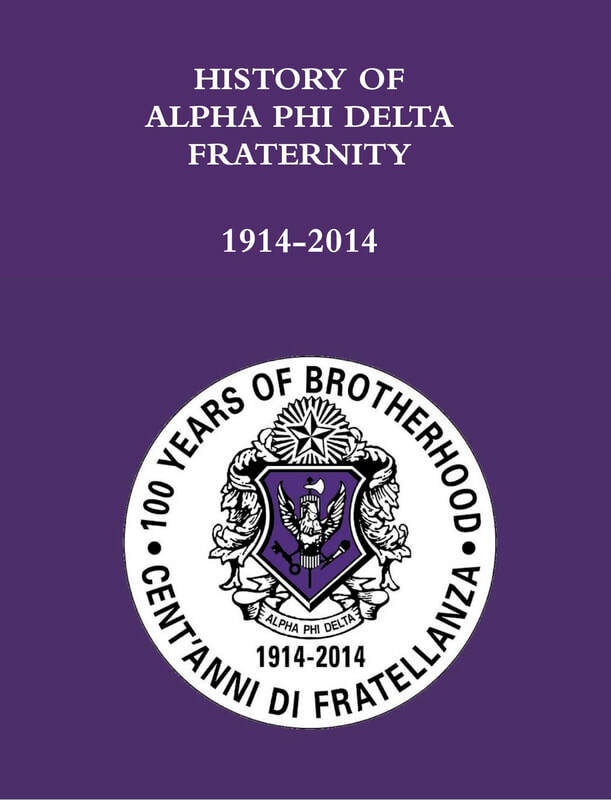 Order this classic volume, at this discounted price, and learn the History of Alpha Phi Delta, told year-by-year from 1914 and into our 100th year. CLICK HERE TO ORDER. Group photo of the delegates to the 2019 Annual Meeting of the National Council. It was an amazing gathering held at Pace University's Pleasantville Campus on Feb. 16, hosted by Gamma Iota Chapter. The 2019 Annual Meeting of the National Council was held on Saturday, February 16, 2019 on the campus of Pace University in Pleasantville, New York, home of the members of our Gamma Iota Chapter. Highlights of the meeting included: the re-election of Todd Cusato and Salvatore Flagiello as National President and Vice President respectively; the re-chartering of our Beta Phi Chapter; adoption of the 2019-20 budget; the election of Jonathan Cangin (Epsilon Zeta '17) as Chairman of the Undergraduate Coordinating Committee and the re-election of Michael Young (Beta Eta '85) as the Chairman of the Alumni Coordinating Committee. Click here for more info. Pledges from the NYC North, NYC South and Long Island Districts pose for a photo. The pledges from Epsilon Eta (SUNY Albany) even took the four hour drive to attend! On March 22, the New York City North, New York City South and Long Island Districts hosted a "Brotherhood for Life" seminar at Beta Sigma Chapter (on the campus of St. Francis College, Brooklyn, New York). A large turnout of pledge class members was addressed by various alumni speakers from many different chapters and eras. This Brotherhood for Life event has been a New York City area hallmark since 2008! Set for April 6th in D.C.
Alpha Phi Delta will be having a gala celebration on April 6, 2019 in Washington, D.C. The Fraternity will be returning to the Mayflower Hotel for this Gala, that will celebrate our brotherhood and support our Alpha Phi Delta Foundation. ​Three Chapters Celebrate Their 90th! The founding members of Chi Chapter (Penn State) in 1929. Click here to view in alternate viewer. Want to Start a Chapter of Alpha Phi Delta?